There has been an increasing demand by clientele for information and training on small-scale food production methods to meet the growing demand for locally produced food and for personal consumption. One of the University of Florida Extension’s high-priority initiatives is “increasing the sustainability, profitability, and competitiveness of agricultural and horticultural enterprises.” One food production method currently being investigated is aquaponics. 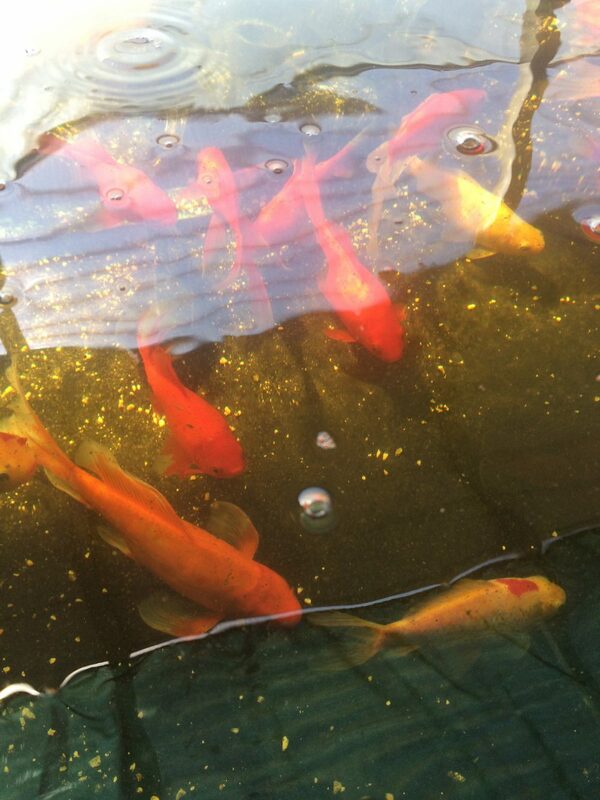 Koi are a popular fish species used in aquaponic systems. Aquaponics is a technique for sustainable food production that utilizes the combination of aquaculture with hydroponics to grow fish and vegetables without soil. The process begins with fish producing waste, which is then pumped through a bio-filter to convert into fertilizer for the plants. Plants use nutrients from that water, and the freshly oxygenated water is returned to the fish tank. By recirculating the water from the fish tank to the grow bed, the need for water is greatly reduced compared to traditional irrigation. Additionally, producing crops aquaponically can reduce leaching, runoff, and water discharges to the environment by reusing nutrient effluent from aquaculture and hydroponic systems. For new growers, being able to have access to training and to see a demonstration unit can eliminate many of the pitfalls typically encountered. A small aquaponics system, using local-sourced materials, is being constructed at the Walton County Extension office in DeFuniak Springs, FL. This system will demonstrate the technology and capability of small-scale aquaponics. The system is expected to be operational in April 2017. Working together, the Sea Grant, Horticulture, and Agriculture agents will be able to share construction and operation information with interested clients. Data will be collected from the system in order to give clientele real-world expectations of the operating costs and production potential from the system. Information will be shared in face-to-face interactions, at workshops, via webinar and in published articles. 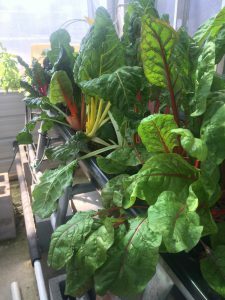 The goal is to see an increase in the number of aquaponics operations in the Panhandle of Florida contributing to an increase in availability of locally and sustainably produced food. If you would like to see the system or learn more about aquaponics by subscribing to our Aquaponics list serve, please email Laura Tiu, lgtiu@ufl.edu. Greens tend to do very well in aquaponic systems. 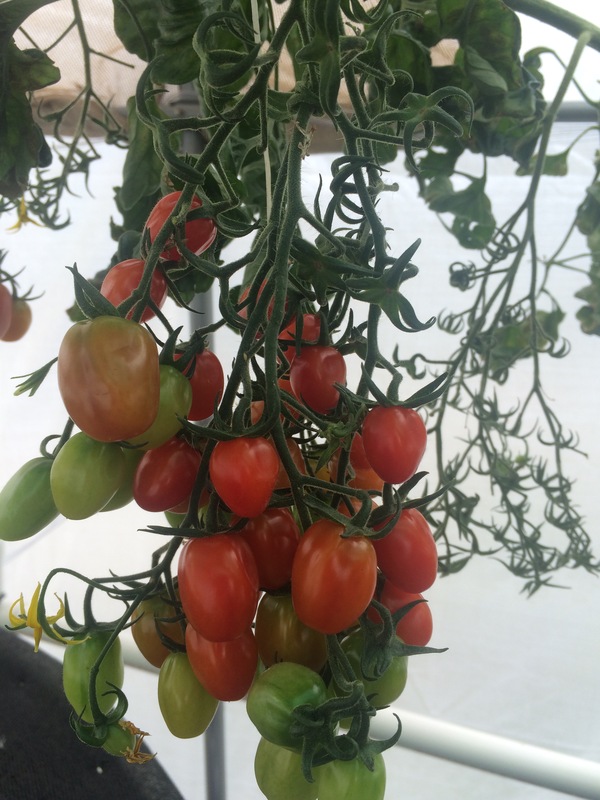 A panhandle favorite, tomatoes can be grown using aquaponics.